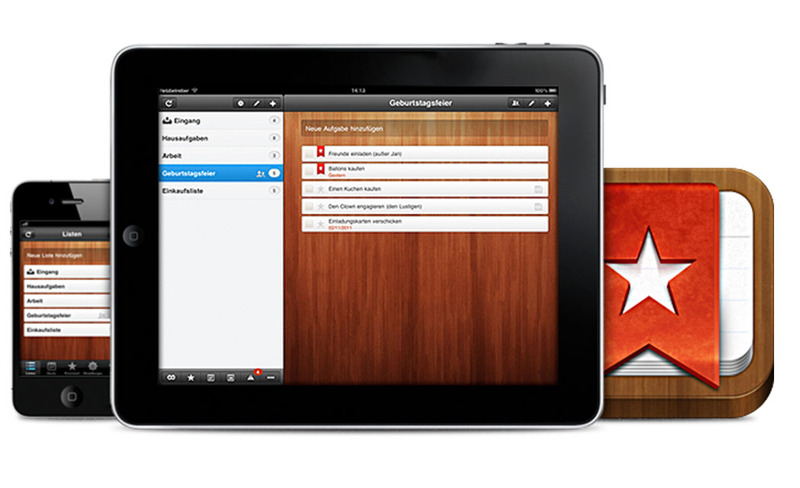 Looking for a new app for making “to-do” lists on your Apple or Android phone? You could use Apple’s Reminders or Google’s Keep. But Microsoft is hoping you’ll try Wunderlist, created by a German tech startup that Microsoft bought this week. Microsoft’s acquisition of German firm 6Wunderkinder this week for an undisclosed sum is part of its broader effort to win friends in the mobile world. It is still promoting its Windows operating software for smartphones, but relatively few consumers are buying Windows phones. So the company is also building a stable of apps for devices that run on Apple’s iOS and Google’s Android platforms. That includes Android and iOS versions of Microsoft’s Office programs, which the Redmond, Washington, company created in-house and released earlier this year. Then there’s a mobile calendar called Sunrise, made by a company Microsoft bought in February. Microsoft Corp. also bought the startup behind an email app called Accompli, which _ like Sunrise and Wunderlist _ has won praise from tech reviewers for its clean design and useful features. Microsoft has since rebranded the Accompli app as “Outlook” for mobile devices. But it’s still offering the Sunrise calendar and Wunderlist apps under their original names, while planning to use some of their features in other services. All the apps have a free version. Microsoft hopes they’ll eventually win people over to services that make money from subscriptions or ads. Magic Leap, a secretive startup backed by Google, is working on a breakthrough that it promises will make people feel like wizards starring in their own personal Harry Potter movie. Although the technology is still shrouded in mystery, Magic Leap CEO Rony Abovitz describes it as a way to manipulate “rivers of light” so digital content normally seen on the screens of personal computers and mobile devices appears as holograms. Geeks typically refer to this concept as “augmented reality.” Abovitz prefers to think of it as “cinematic” or “mixed” reality. “We are giving people a paintbrush to paint all the world,” Abovitz said Tuesday during a rare appearance at a San Francisco conference presented by the MIT Technology Review. Abovitz is still being cagey about when Magic Leap will begin selling its products, but it might not be too much longer. He revealed that the Dania Beach, Florida, company is planning to manufacture a “photonic lightfield chip” in a 300,000-square-foot plant. The expansion is being financed by Google Inc. and other prominent investors, including Microsoft co-founder Paul Allen, who have poured $592 million into Magic Leap so far. Another sign of progress: Magic Leap is getting ready to release a software kit that will enable outside developers create games and other content that will work with the technology. “We are a dream factory where you dream something and then make it happen,” Abovitz said. Instagram’s more than 300 million users will soon see a lot more advertisements in their feed of travelscapes, breakfast scones and stylish babies. When Facebook bought Instagram in 2012, the popular, free photo-sharing app had no ads. Since then, Instagram has been careful to only show a few, hand-picked ads in users’ feeds, for fear of alienating its fiercely loyal following _ or marring the Instagram experience. But we all knew that wouldn’t last. This week, Instagram announced that it will make ads on its app “available to businesses of all types and sizes.” Advertisers will also be able to target their messages to users based on their age, location and gender, as well as their interests and things they follow on Instagram. “Working with Facebook, we will enable advertisers to reach people on Instagram based on demographics and interests, as well as information businesses have about their own customers,” reads a blog post from Instagram. To start, Instagram will be open to what it calls a “select group” of Facebook marketing partners and agencies, and will expand worldwide throughout the year.